Did you know what is cancer? The number of cancer patients is increasing worldwide everyday which gives rise to the question what is cancer? Before knowing what is cancer we should have an idea about human body. Human body is consists of cells, tissues and bones. Cell is a small unit and there are various types of cells are present in the body. Cell usually unites with other cells and that’s the way it makes whole body of an organism. Normality of the cell that means its normal growth, division is very important for specific body function or we can say for a normal healthy life. 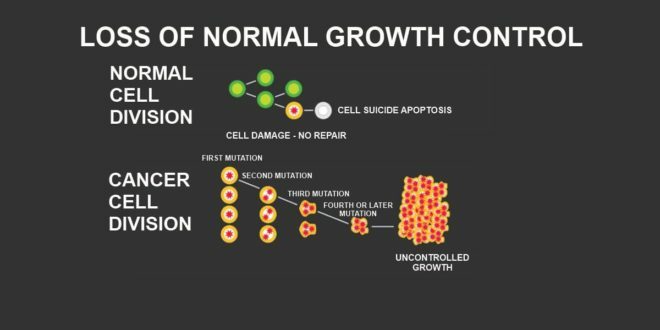 When the cell division, growth in a body parts (organ) becomes abnormal, it develops anti bodies, malignancies, tumors in organ and the concern organ loses its functional capacity, that is cancer. It can spread to the other body parts. These cells are capable of getting into other tissues, they usually move through blood or lymph systems. Abnormal growth of cells could be in increased or decreased amount. The death of cells also causes cancer. Cancers are named after the organ or types of cell in which they start. For an example – if the cancer affects the lung it will be lung cancer. Cancer usually affect old People but it can happen to anybody at any age. Cancer is the leading cause of death. That’s why we have to know “what is cancer“. worldwide 12.5% of death specified because of cancer. Tobacco, high radiation, alcohol, too much oily food can be triggers of various types of cancer. That cancer is not a contagious disease. It can’t transferable to other people by touching or living with them. In the case of breast cancer, this disease doesn’t show any particular symptom, as if there is any lump develops, earlier it may be quite small to be felt or it doesn’t cause any unusual changes, which you can notice on you. Usually in this case, an affected area gets change on a screening mammogram and it goes on further diagnosing. However, in few cases, things are different as the very sign of breast cancer is a new lump or a mass and it can be felt either by yourself or by your doctor. To recognize lump, which is breast cancer symptoms, you can check as if it is not giving any pain, stiffness and with uneven edges, then possibly it is a sign of breast cancer. But it is not required that cancer should be hard always as it can be soft and rounded as well sometime. So, you can’t justify easily with cancer symptoms by yourself, and it is advisory that if you feel something like that, immediately get a checkup from a doctor. A study has come up from an American Cancer society, which says that some sort of changes in breast can be assumed as a symptom of breast cancer. That study has highlighted some of them. Swelling over breast’s some part or overall breast. But still, it is advised if these kinds of symptoms you experience in your body part go promptly to a doctor and get it checked. Tags types of breast cancer symptoms what are the warning signs of breast cancer? what is usually the first sign of breast cancer? Previous Ringing in Ears Treatment-The Natural Ways!